El punto de coral es un punto de borde o contorno que se emplea especialmente para bordar curvas muy definidas. Tiene la apariencia de una fila de nudos. 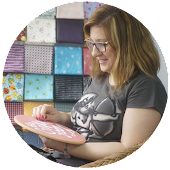 Coral stitch is used for outlines and follows a curved detail well. It creates a line that looks like a row of knots. 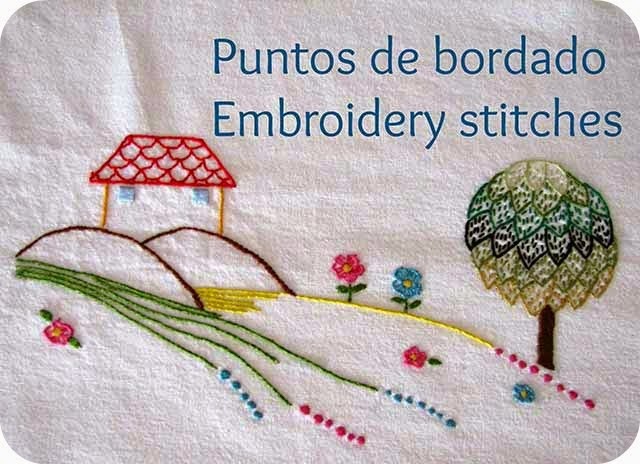 In English, it is also known as coral knot, German knot stitch, knotted stitch, beaded stitch, and snail trail. Se borda de derecha a izquierda: manteniendo en todo momento el hilo sobre la tela con el pulgar, introducimos la aguja en la tela por encima del hilo y la sacamos por debajo. Después tiramos hasta formar un nudo Repetimos dejando la misma distancia entre los nudos. 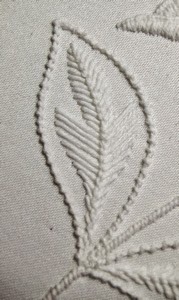 It is embroidered from right to left side. 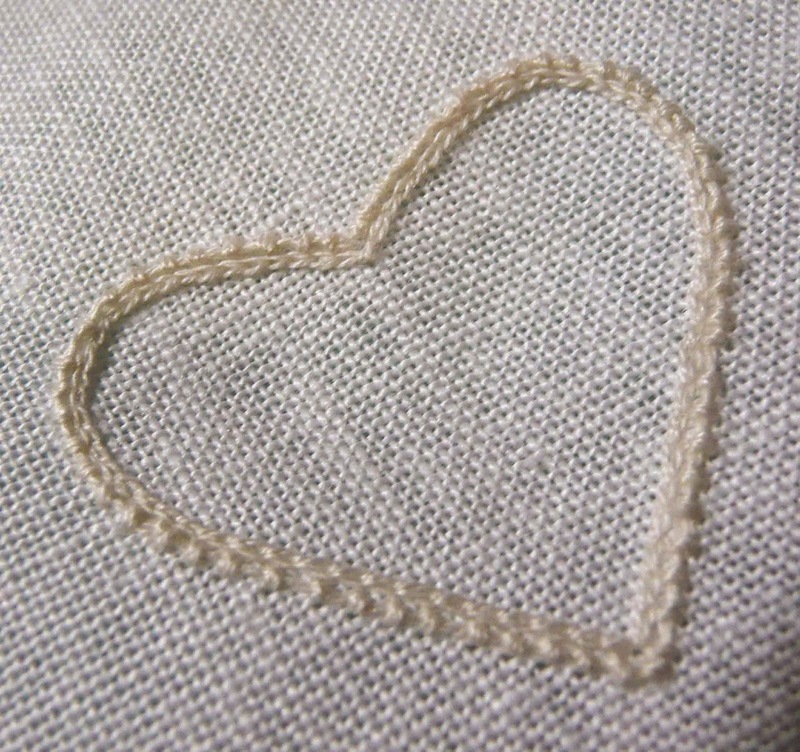 Bring the thread up from the back of the fabric and hold it loosely on the surface of the fabric with your thumb. Insert the needle at a right angle, above the line to be worked and bring it out just below the line to be worked. 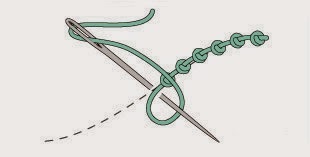 Pull the needle through the fabric and over the thread to form a knot. Que bonita puntada! No la conocía, gracias Elena.